White mini dress from Victoria Beckham. 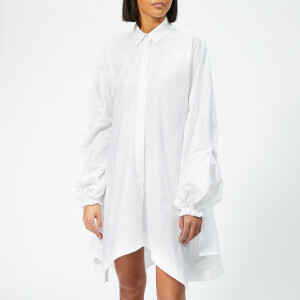 Cut from soft crepe fabric with a clean, boxy shape, the mini shift dress features a simple rounded neckline and long sleeves with cut-out cuffs and self-tie detail. 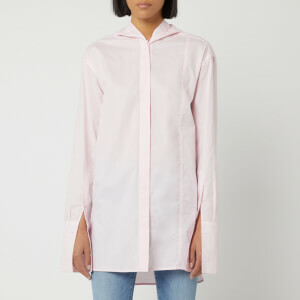 The mini silhouette falls above the knee and is finished with two side seam pockets and a concealed zip fastening with hook and eye to the back.